Turbulent skies above cloud covered mountains make us think of inhospitable terrain below…until the clouds part to reveal an idyllic pastoral scene. Jackson Hole, Wyoming appears nestled between the dramatic jags of mountain ridges and provides a peaceful sanctuary amid fields, lakes and streams. 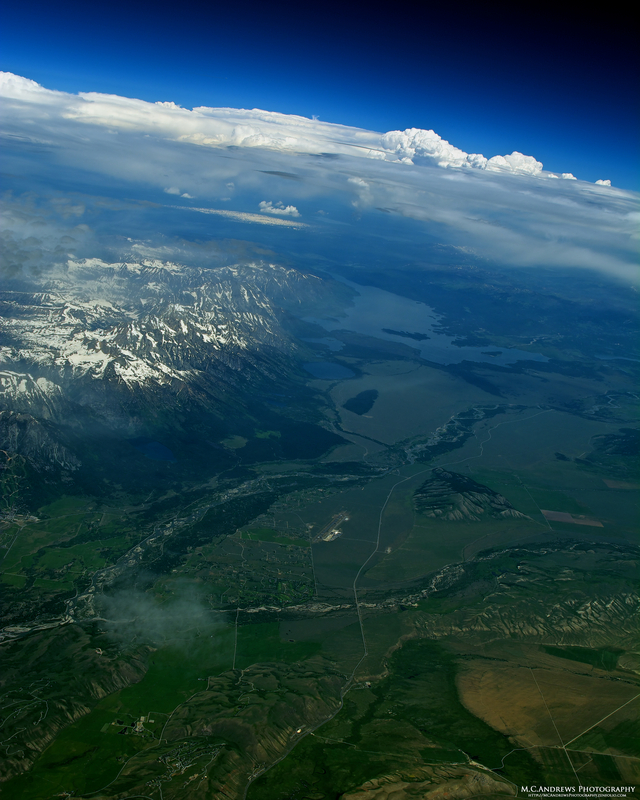 Our eyes immediately are drawn to the Jackson Hole Airport at the base of the Grand Tetons, the focal point of the valley. This would be a perfect place to land…and spend a lifetime. Wow! Stunning image!! I can’t take my eyes of it, just need to keep looking at this picture..